We attract members from all over the west Cork region and of all levels of proficiency, from beginners to practising professionals. The club meets every other Wednesday in O’Donovan’s Hotel, Pearse Street, Clonakilty. Meetings usually start at 8.00pm end around 10.30pm though often continue on in the bar of the hotel! We offer a varied programme including guest speakers, practical sessions, competition nights and the opportunity to simply discuss photography and photographers, ask questions and share ideas . New members are always welcome to join. Please contact the committee for further details or continue browsing our website. 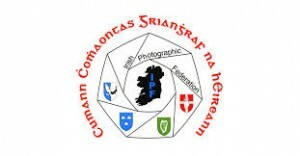 The club is a member of the SACC and IPF. All images on this website are subject to copyright © and may not be used, stored or reproduced in any form whatsoever without the prior written permission of the photographer.